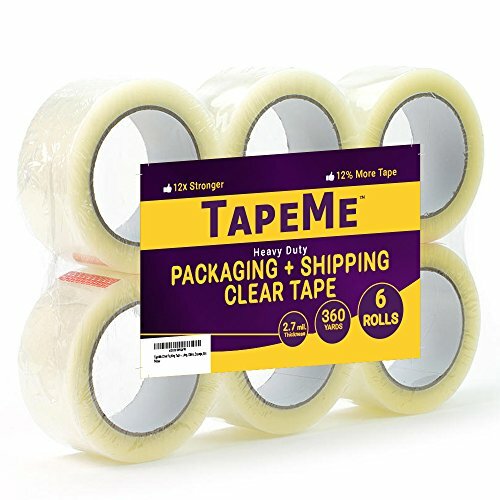 TapeMe Clear Packing Tape - 60 Yards Per Roll (Pack of 6 ) - 2.7mil, Heavy Duty Sealing Adhesive Industrial Tapes for Shipping, Packaging, Moving, Office, Storage, Etc. Industrial Tapes for Shipping, Packaging, Moving, Office, Storage, Etc. No matter what you are up to, this high quality packing tape gets the work done the right way. Will not yellow when exposed to sunlight or UV sources. If you have any questions about this product by TapeMe, contact us by completing and submitting the form below. If you are looking for a specif part number, please include it with your message.